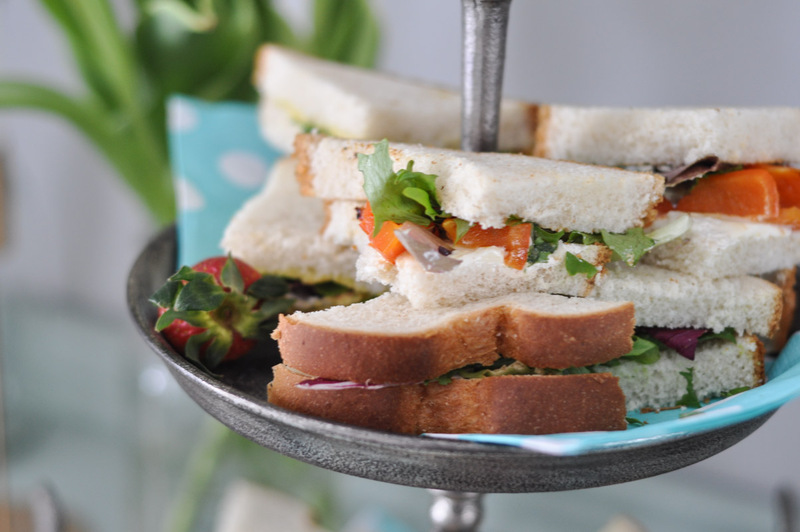 Is there anything tastier than a sandwich that you didn’t make yourself? 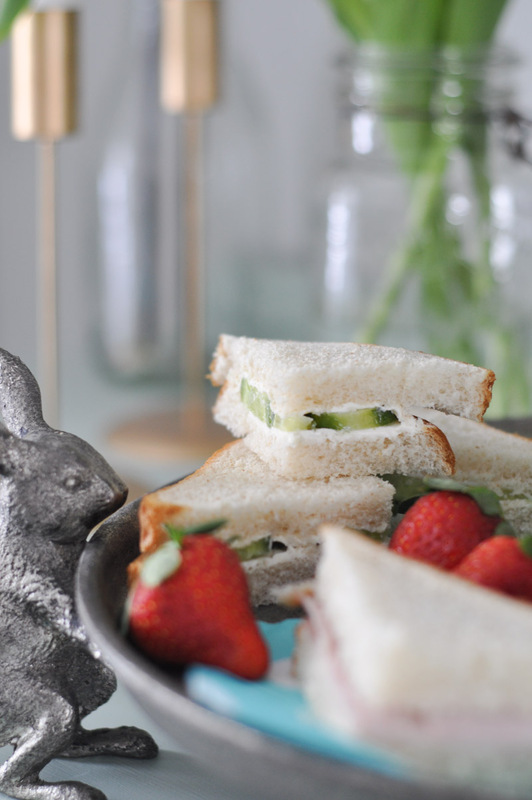 Whenever I get the chance to have a sandwich made for me – from the simplest of lunches to the daintiest of tea sandwiches – it is just that much more satisfying to eat it. The bread seems fresher and the lettuce is crispier. I don’t know why it’s this way. It’s just the rule of sandwiches. 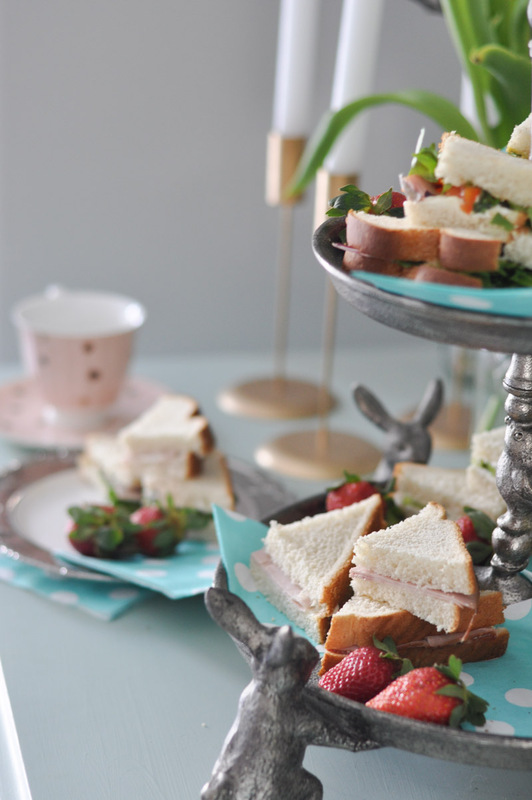 We recently hosted a high tea party for a certain eight-year-old in our house, and a part of the menu was tea sandwiches. 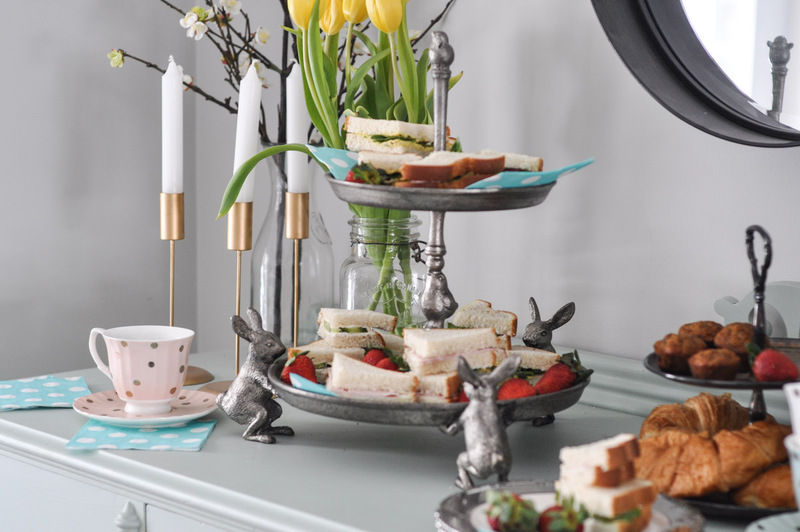 Using this kitschy-but-fabulous tiered bunny platter, we put out a spread of various sammies in all of their glory. But before this technicality overwhelms you, I’ll just admit it: I didn’t cut the crusts off. I know! The humanity! But there is good reason for it: a) I think it’s kind of wasteful and b) I feel like the sandwiches look naked without their crust. The crust gives definition! Those who don’t like crusts know how to navigate their way around them. And those who like crusts can come sit by me. 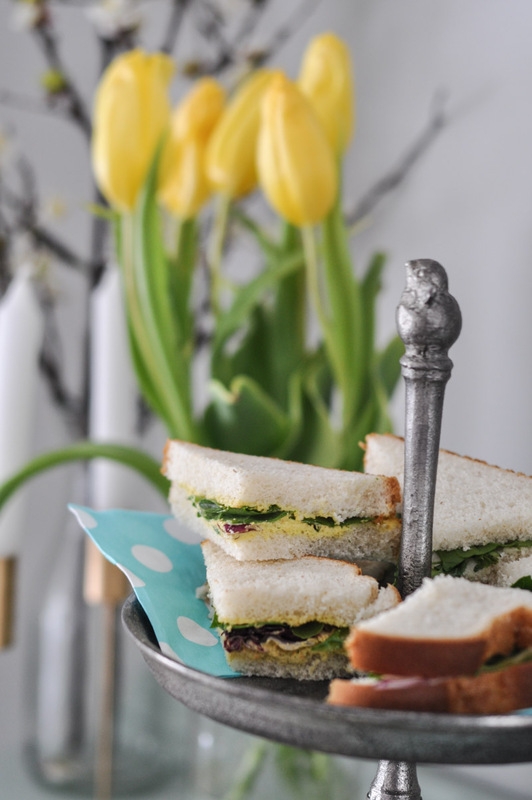 One of the recipes I made for this fancy-pants party involved a veggie sandwich spread. With carrots in it! Top with other piece of bread and cut into quarters. Enjoy! 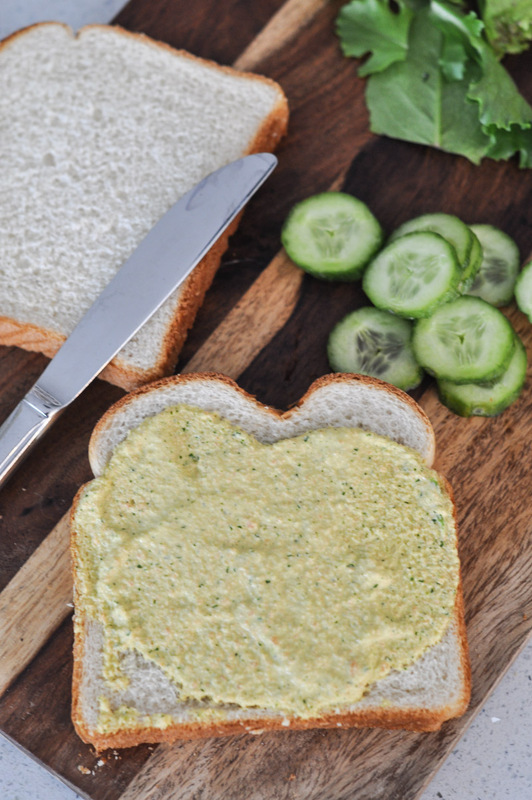 Use it like a mayo and then make your veggie sandwich as per usual. I know it sounds bizarre – carrots and celery in a food processor – but it’s actually really tasty! 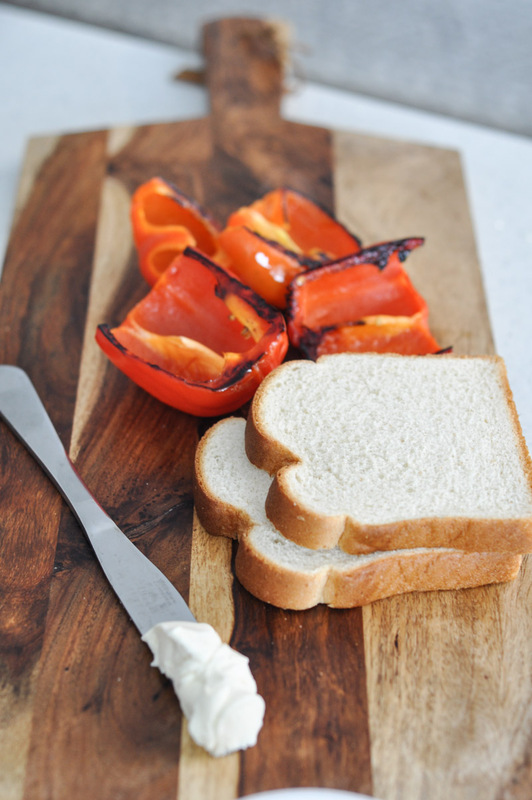 Another veggie-friendly sandwich that I’ve grown to love is the roasted red pepper sandwich. I halved and seeded two small red peppers and placed them face down on a cookie sheet. After drizzling them with olive oil, they went into a 425-degree oven for about 20 minutes. I removed them from the oven and let them cool for about 10 minutes. Then I sliced them thinly. I spread plain cream cheese on a piece of bread and then topped it with sliced red peppers and lettuce. 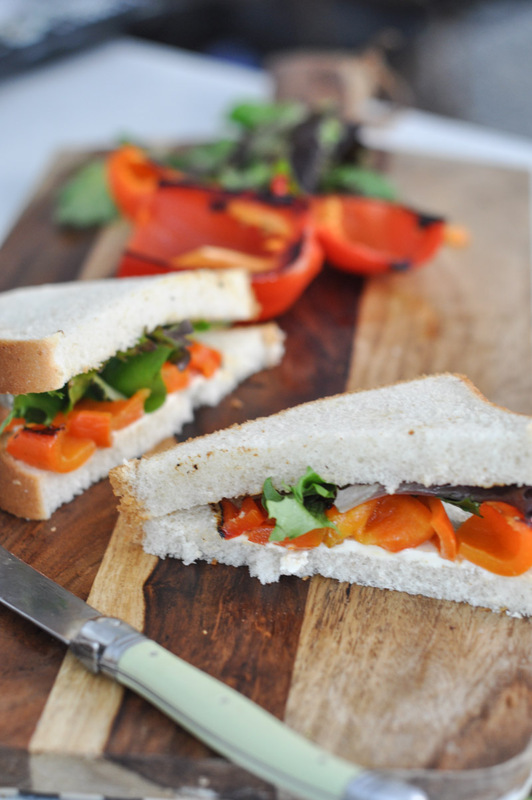 Another piece of bread on top, and you’ve got a delicious and tangy veggie sandwich! 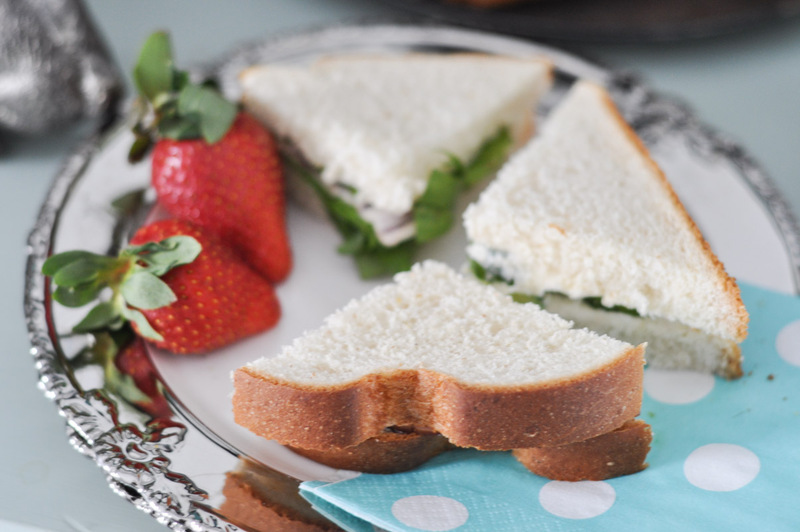 For the past month, I’ve been using Dempster’s Honey Wheat Bread – it has the perfect consistency for little triangle sandwiches. 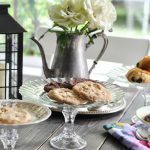 As it’s free of artificial colour and flavours and naturally sweetened with honey, it’s an excellent choice for tea parties of guests both young and old. 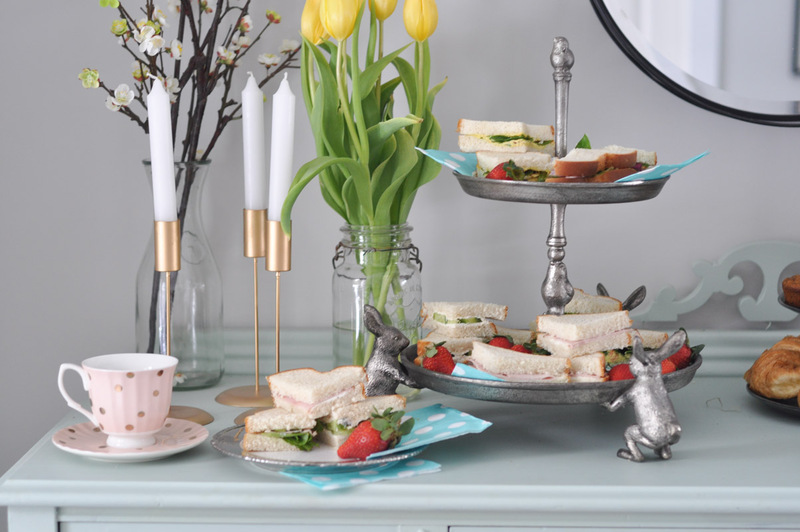 An array of colourful sandwiches is a tempting one, don’t you think? 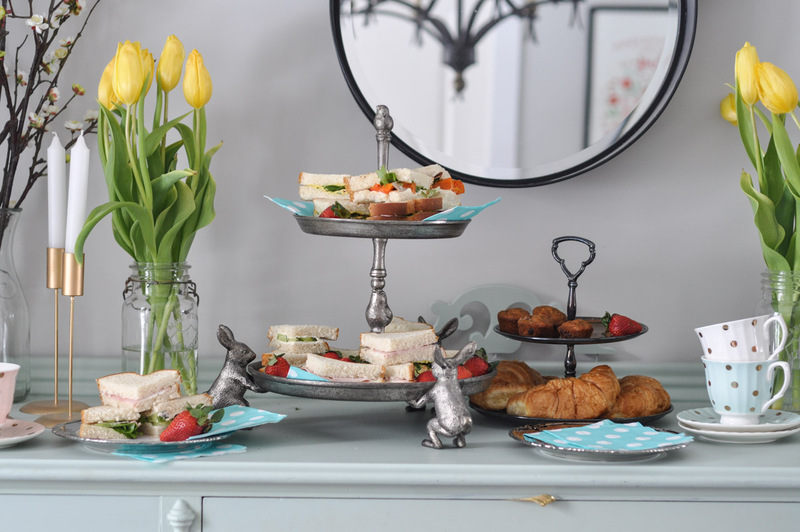 Because it was a springy tea party – despite the snow still lingering outside – a few strawberries and tulips are the perfect compliment to the spread of sandwiches. 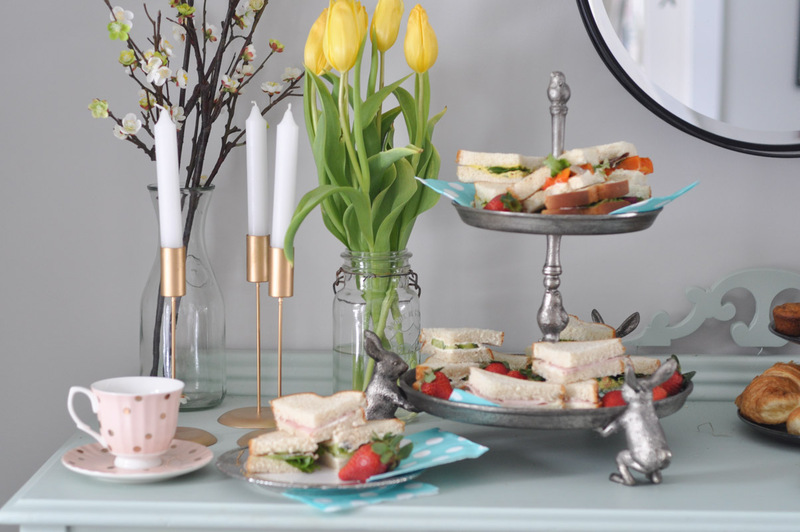 Do you have a favourite sandwich to serve to your fanciest of guests? And could you handle the crusts left ON the bread? This post is sponsored by Dempster’s Bakery, however, all words, pictures and crust-opinons are my own, as always. 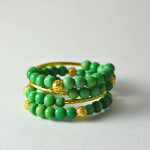 I am really inspired by your site! 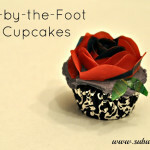 I get many of my ideas from your site! 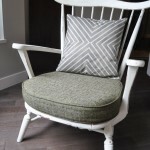 I wish I could be as crafty as you and I am I just don’t have much time for the crafty part of my life… How do you keep time for work but still go all out arts and crafts? Thank you so much for coming over to visit, Shelby! The bunny server is HUGE favourite of the girls. I love a Pretty in Pink party! 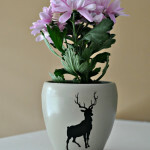 I’d love to host one for my thirty-something friends and add a dash of Molly Ringwald to it!